Do you suffer from Insomnia? Well, join the club! I suffer from insomnia from time to time. (I get it randomly sometimes it lasts a few days but sometimes it lasts for weeks!) Because of this every time I see a product designed to help you get a better night sleep I have to get it not matter what! 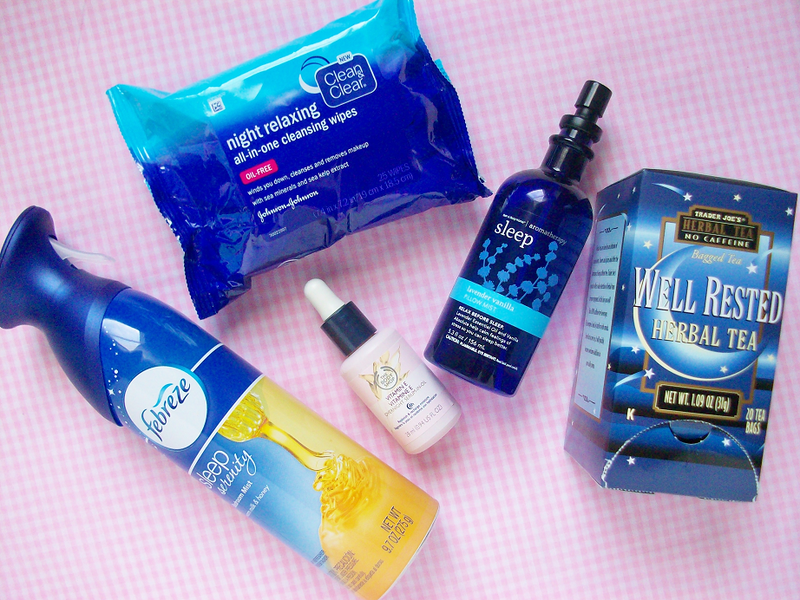 I've tried so many products that I thought it was time to make a blog post on my favorite sleepy time products. 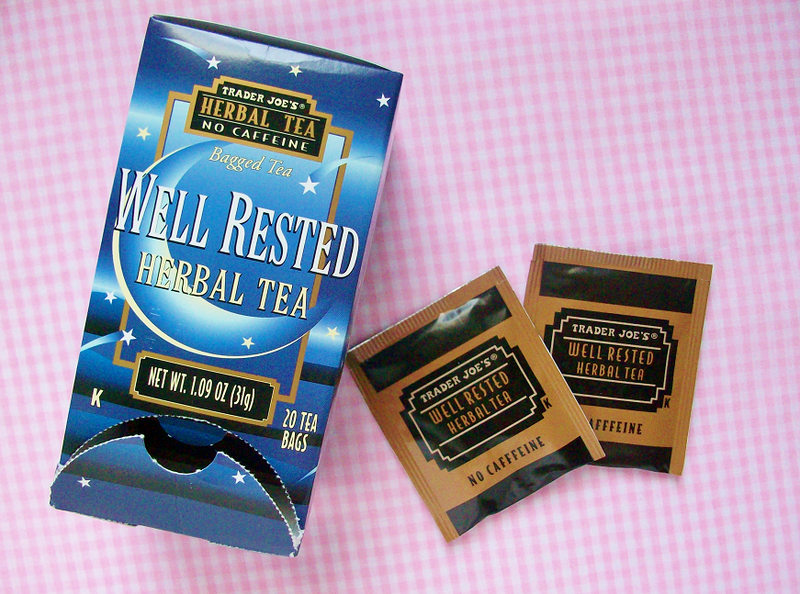 I've tried a variety of sleepy herbal teas but this one by Trader Joe's is by far the best! My parents even like it! 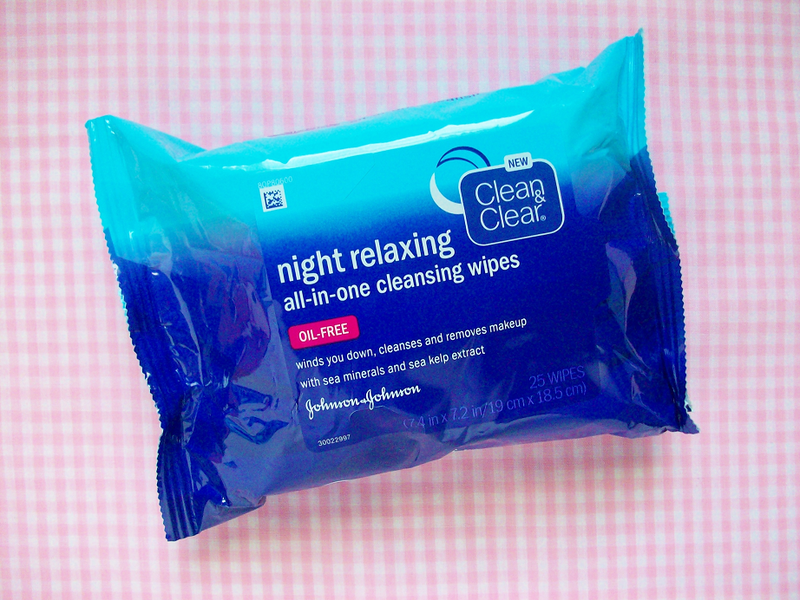 I've never seen a night relaxing makeup wipe before so when I saw these I had to get them! I've used thema few times and they smell amazing (almost like candy). These are great for when you get home from a long day and are ready to sleep! This serum and oil combination is suppose to help you get a better night sleep while you simply pat this on your face after you have cleansed and moisturized. 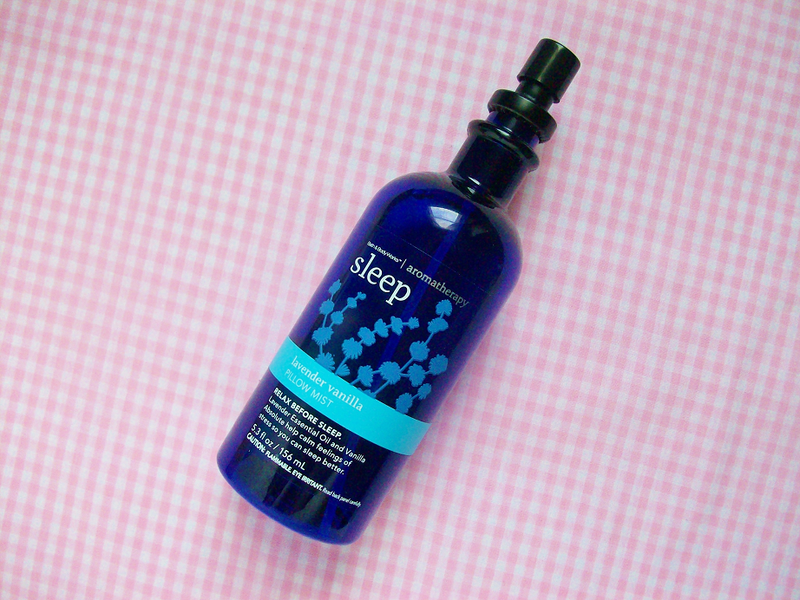 This paired with the next item is the perfect sleep combo that will knock you out! This pillow mist paired with the serum is amazing! 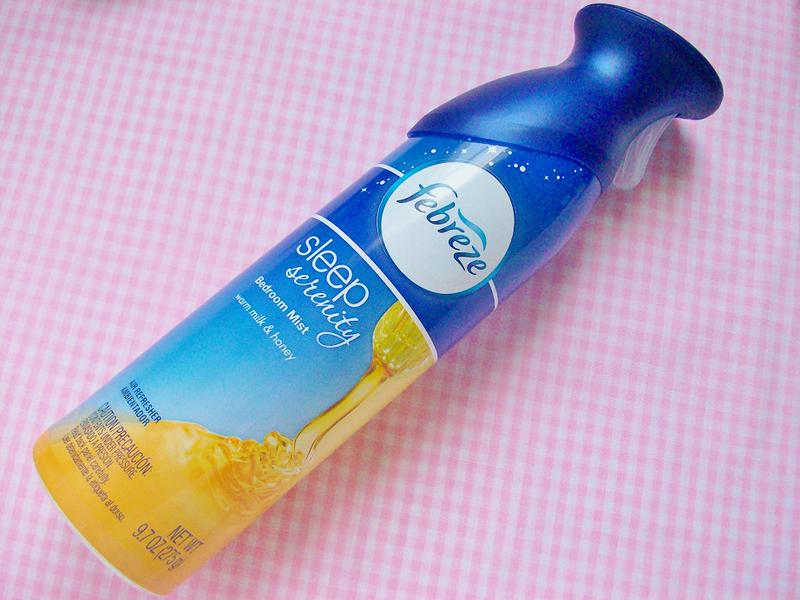 The smell from both of the products really do get me tired and sleepy within minutes. We used this in our bathroom but I bet if I used this in my own room it would knock me out with seconds. 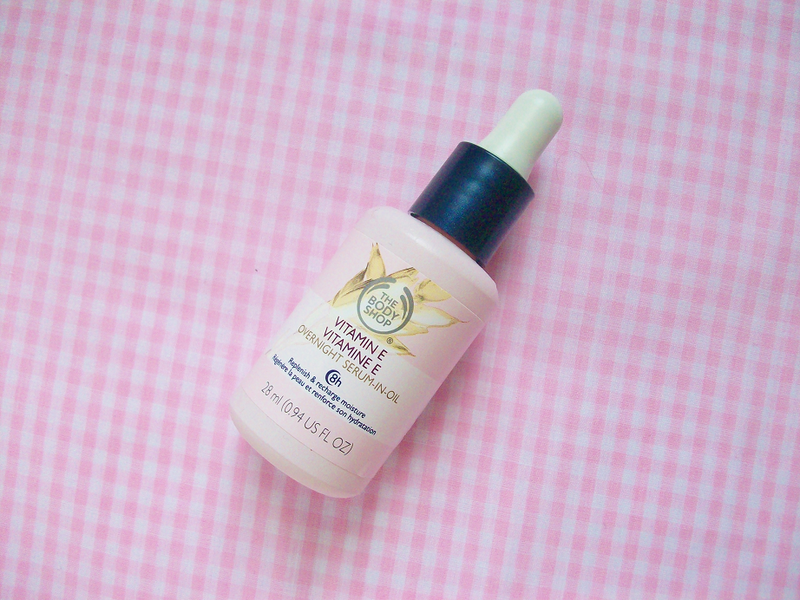 This spray isn't too overpowering but paired with everything I bet I would get a good night sleep. Do you have any tips on how to get some sleep when suffering from insomnia?